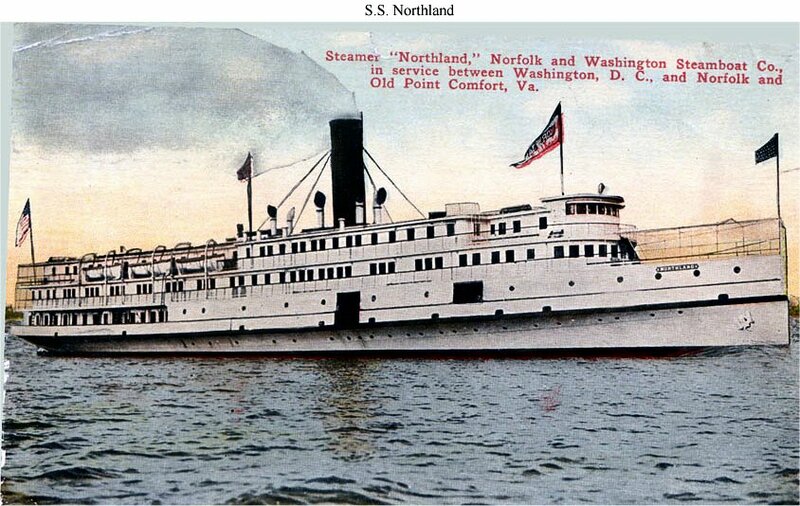 Built in 1911 as the small passenger steamer SS Northland by Harlan & Hollingsorth Corp., Wilmington, DL. 167k Post card image of SS Northland under way, probably, in the Chesapeake Bay between Norfolk and Washington D.C. prior to World War II. 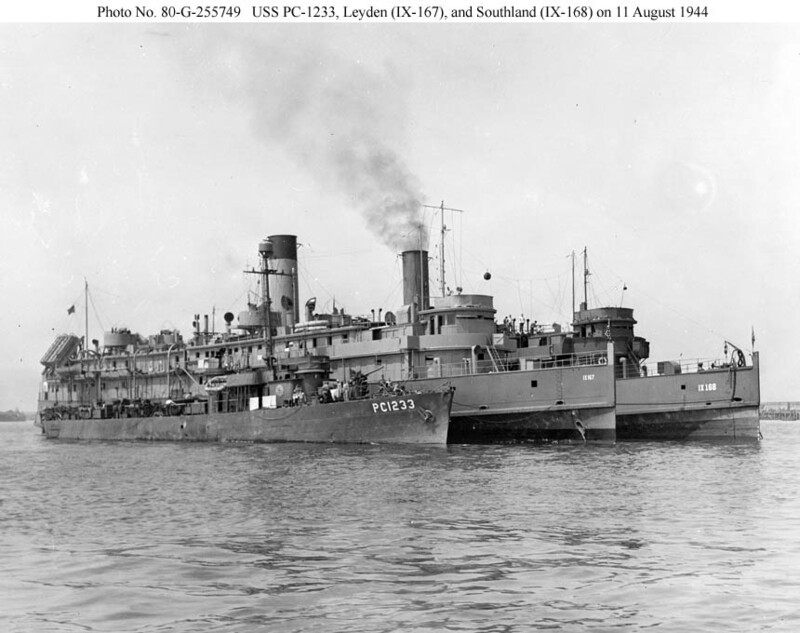 107k USS Leyden (IX-167) in a nest between USS PC-1233 and USS Southland (IX-168) at Cherbourg, France, 11 August 1944. The two larger ships served as barracks and station ships at Cherbourg after the Normandy landings. 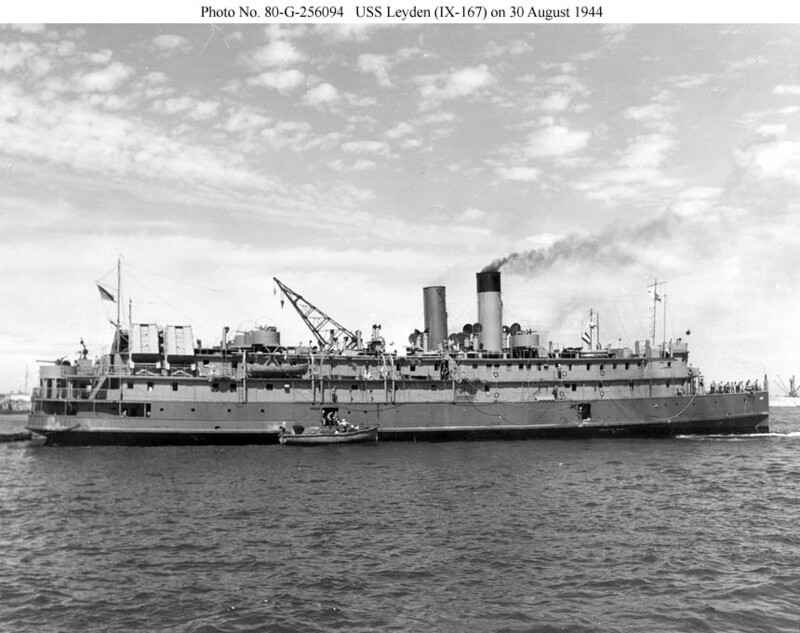 115k USS Leyden (IX-167) at Cherbourg, France, 30 August 1944 with USS Southland (IX-168) alongside to port.